In ungreased, 9- or 8-inch square pan, break up half of cookie dough. With floured fingers, press dough evenly in bottom of pan to form crust. Spread cream cheese mixture over dough. Crumble and sprinkle remaining half of dough over cream cheese mixture. Classic cheesecake can be complicated and finicky, but these chocolate chip cheesecake bars are super easy without compromising flavor. 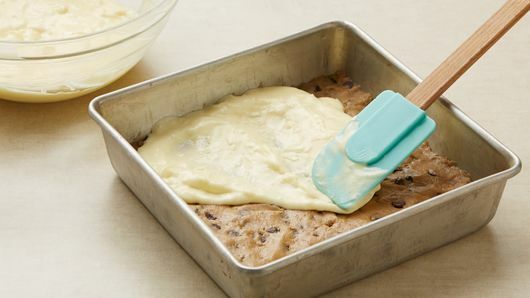 Using refrigerated cookie dough for the crust takes out the fuss of forming a base from crumbs. 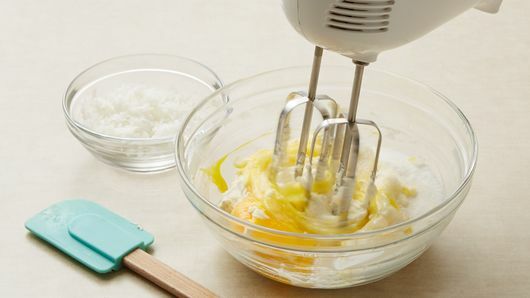 The cheesecake layer comes together in minutes with three ingredients and a hand mixer. Coconut is a great way to add an optional flavor boost. These bars are the perfect make-ahead treat for a party since they need to be chilled at least two hours before serving. Be sure to let the bars cool completely so the cheesecake filling has time to fully set and develop that perfect creamy sweet texture and flavor. 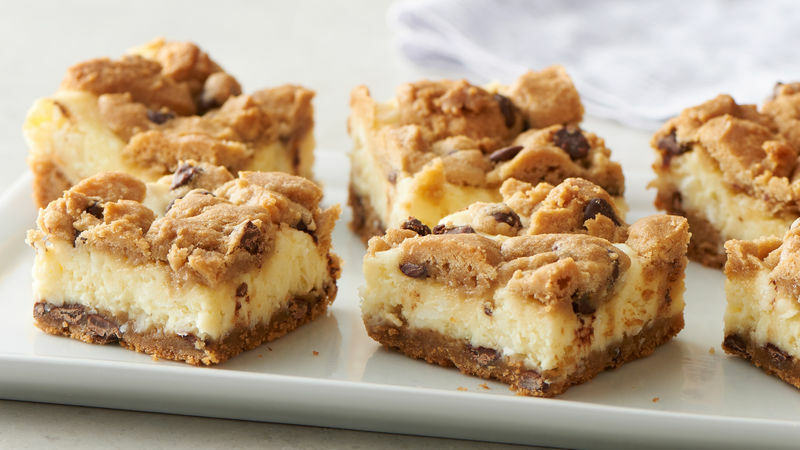 If you love how deliciously easy these chocolate chip cheesecake bars are you will drool over our full collection of quick and easy cheesecake bars.